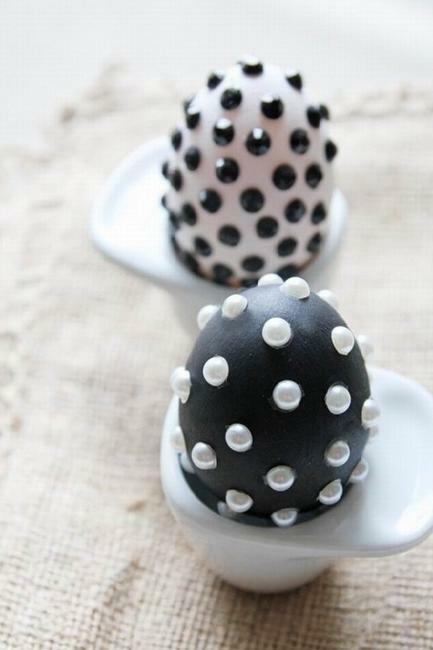 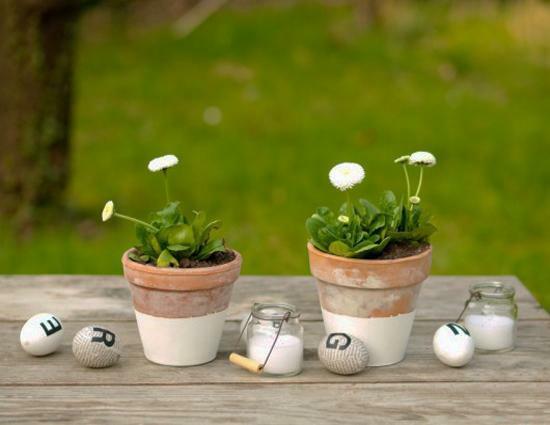 Lushome brings a collection of contemporary ideas for Easter eggs decoration in black and white colors. 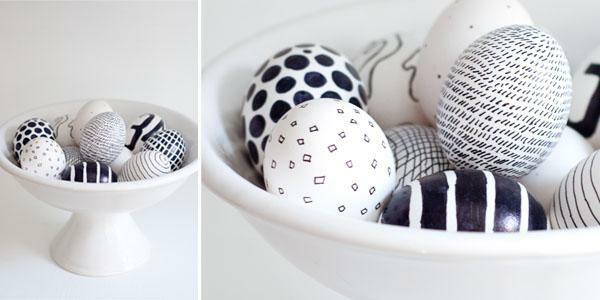 These 25 striking ideas present creative ways for decorating Easter eggs in contemporary and vintage style. 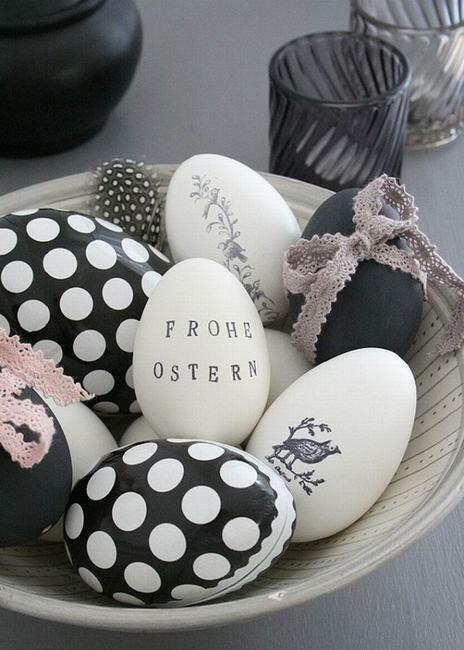 Black and white decorating ideas look interesting, dramatic and bright, and add fun to the beautiful spring holiday. 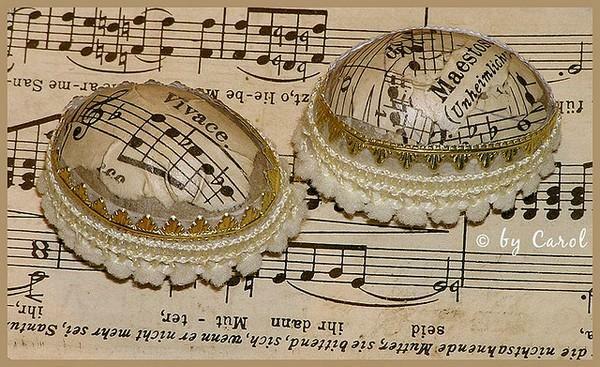 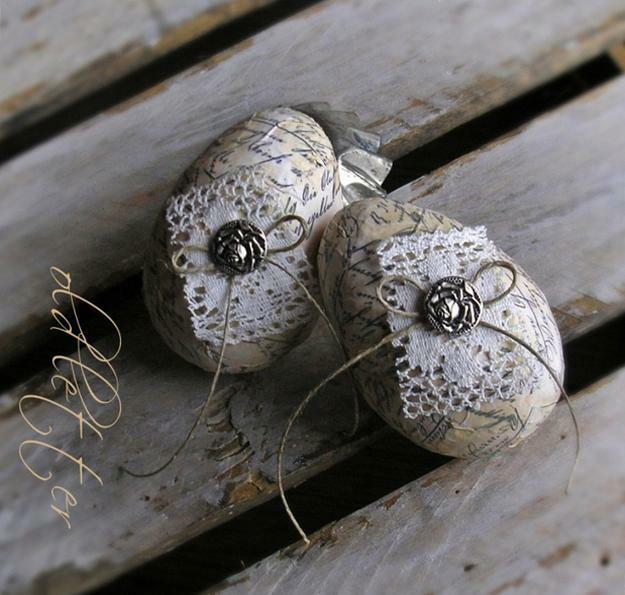 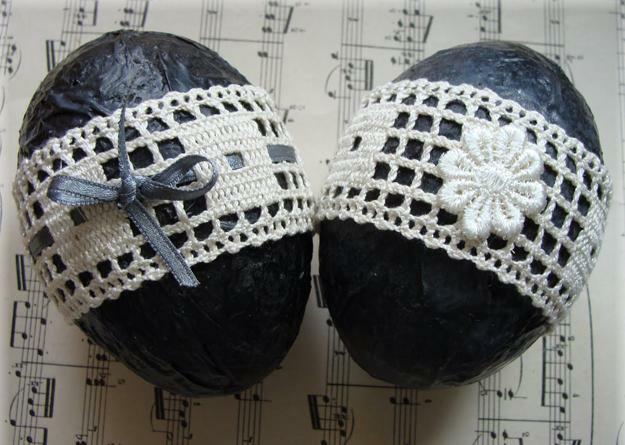 Strong contrasts, various materials, lace, crocheted designs, unusual details and creative decoration patterns turn black and white Easter eggs into gorgeous artworks in contemporary minimalist or unique vintage style. 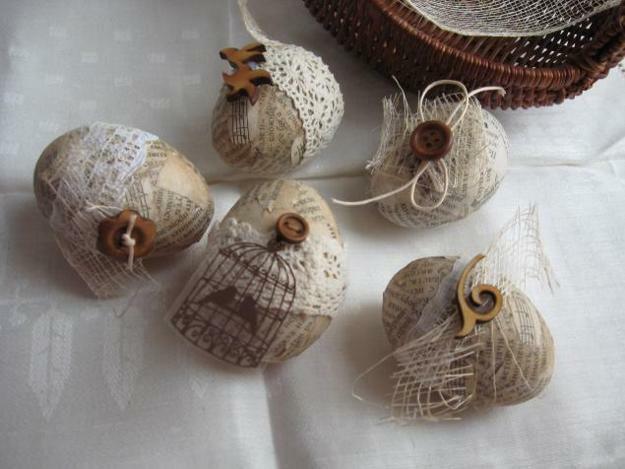 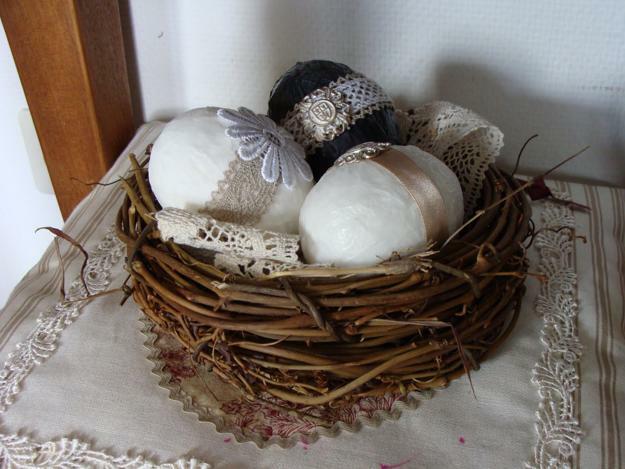 Recycling old paper and using lace, buttons or painting ideas create unique Easter eggs decoration for the beautiful spring holiday. 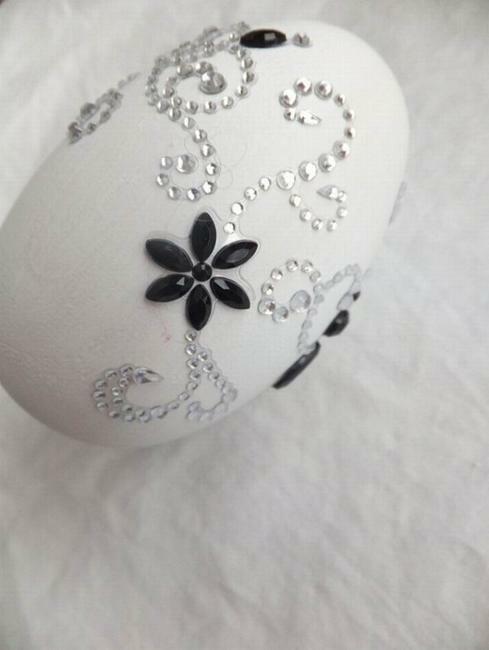 Whether you like glitter, stenciling or simple hand-painted floral designs you can create original and impressive Easter eggs in black and white. 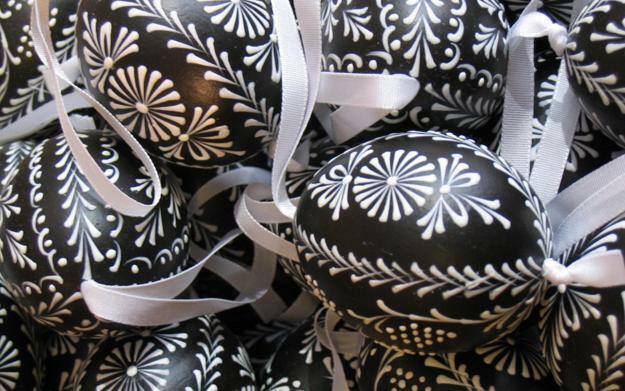 These contrasting color combinations offer numerous tones of black, white and gray color, and offer great decorating ideas to make Easter eggs look very special and surprising. 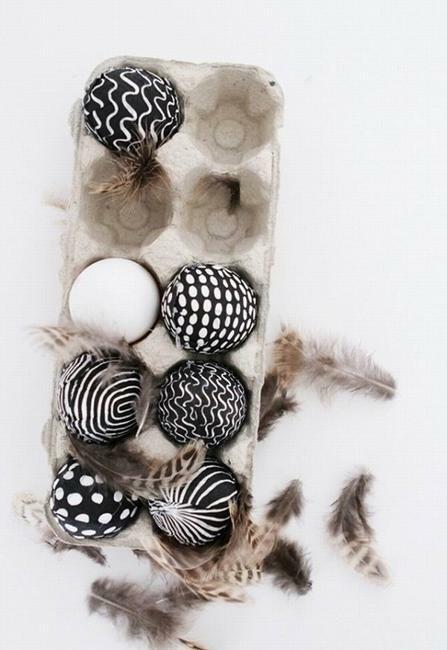 There is a perfect decorating idea for everybody. 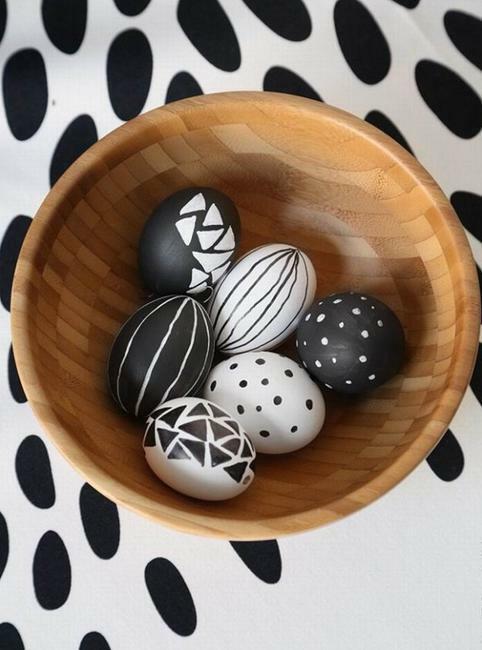 Black and white color combinations are versatile and elegant, ideal for simple techniques and creative Easter eggs decoration. 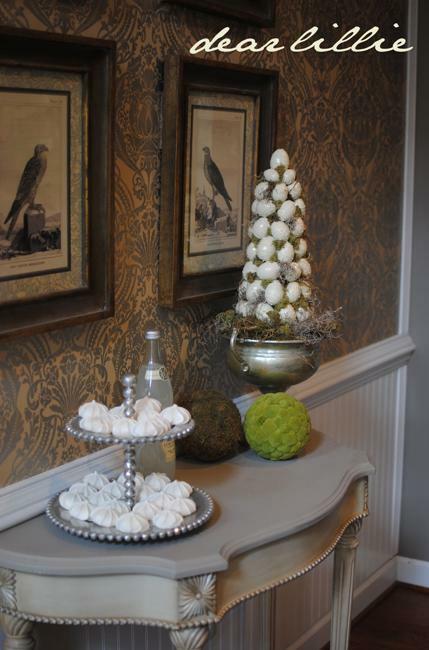 Most of decorating designs are easy and inexpensive to create. 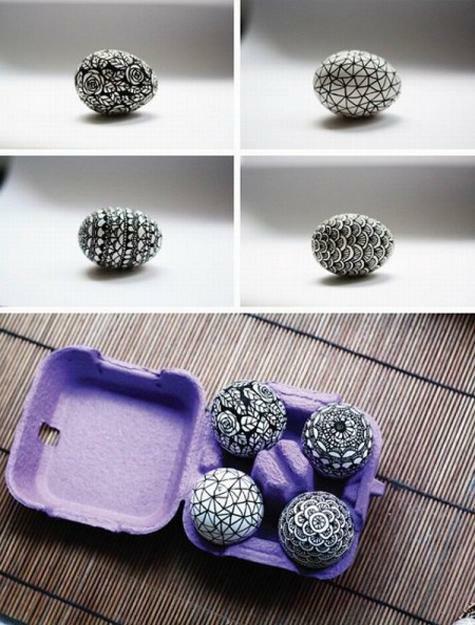 and suitable for kids and adults. 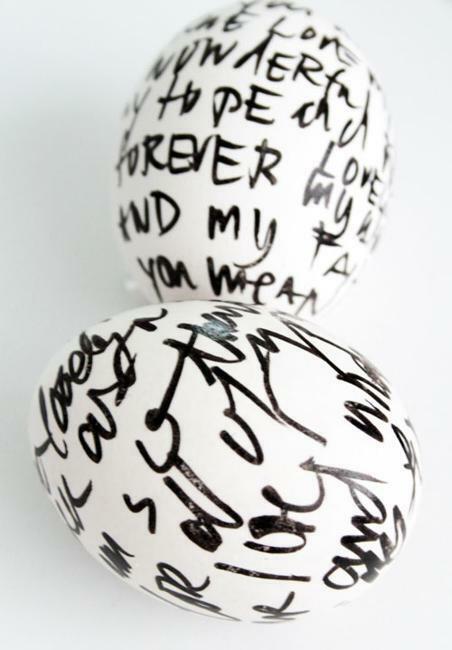 Write messages on white eggshells decorated with black chalkboard paint. 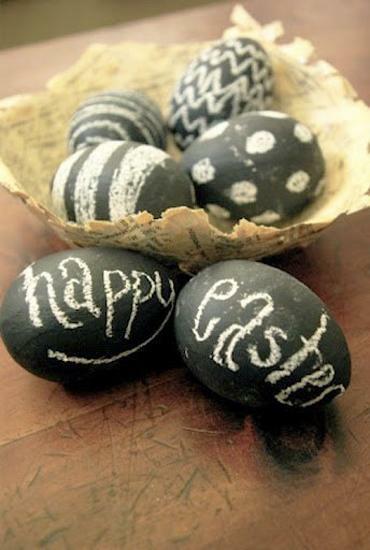 Coat Easter eggs with a layer of black chalkboard paint and let your white chalk do the talking. 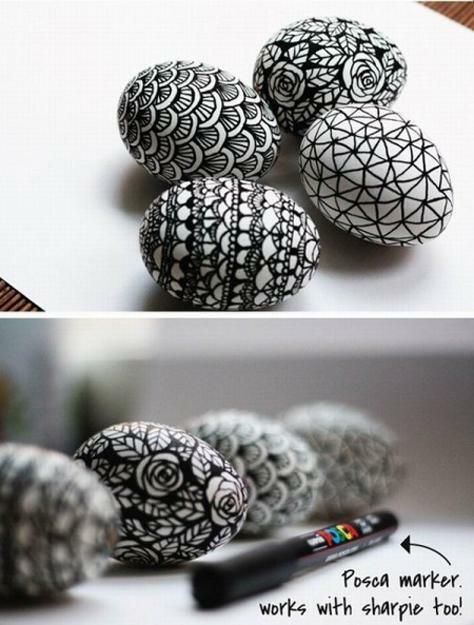 This technique allows to change your designs and personalize Easter eggs, preparing very special gifts and table decorations for the spring holiday. 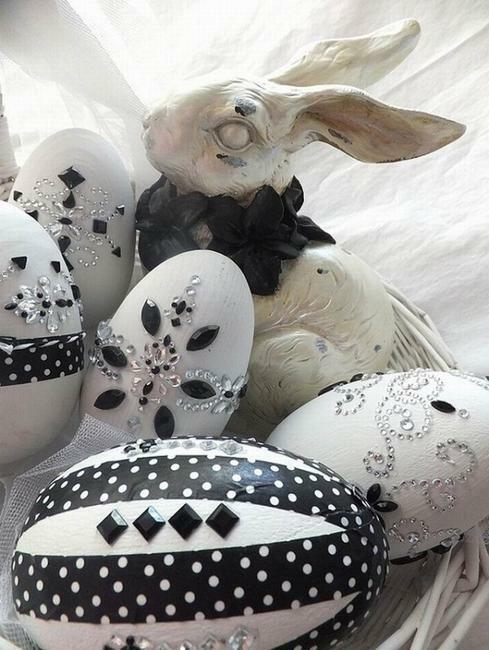 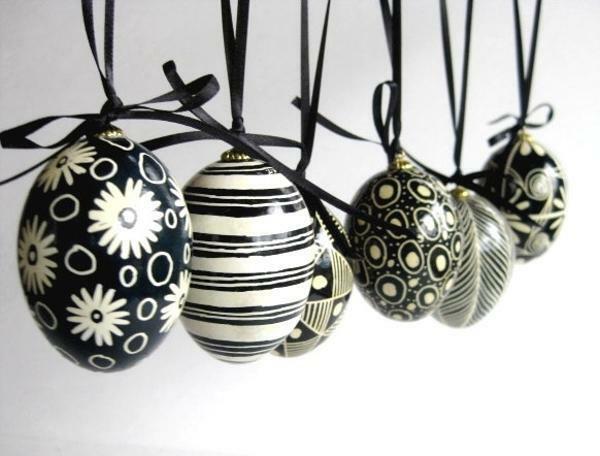 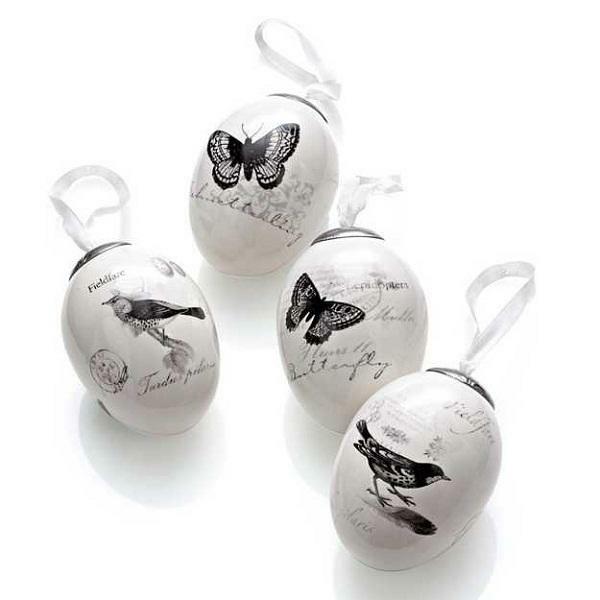 Black dye and white paint make beautiful and very elegant Easter eggs which are very different and amazing. 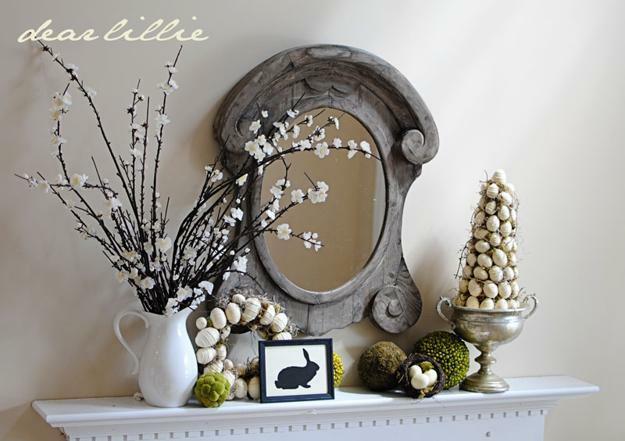 You can stencil in different pictures or designs with white paint and the overall look is absolutely gorgeous. 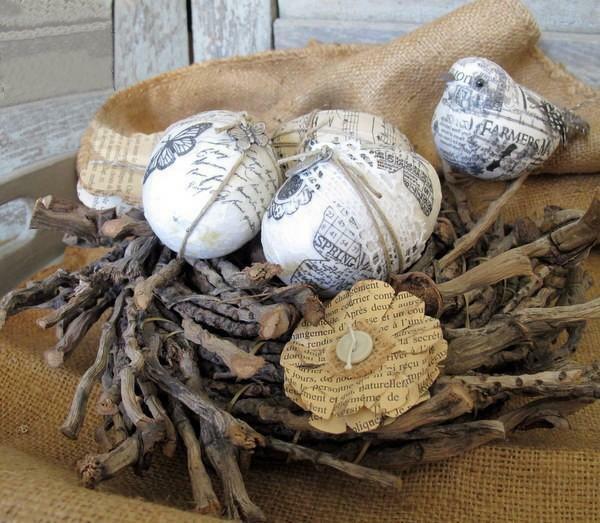 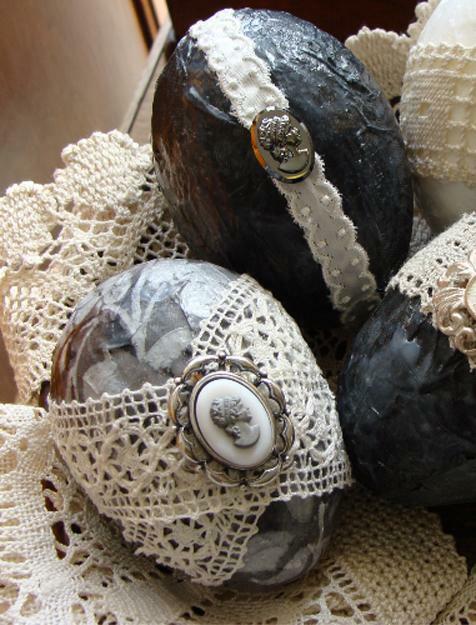 Black and white fabrics, lace and small decorations, like buttons or pearls, black and white newspaper or stickers are great ideas for uniquely themed Easter eggs decoration. 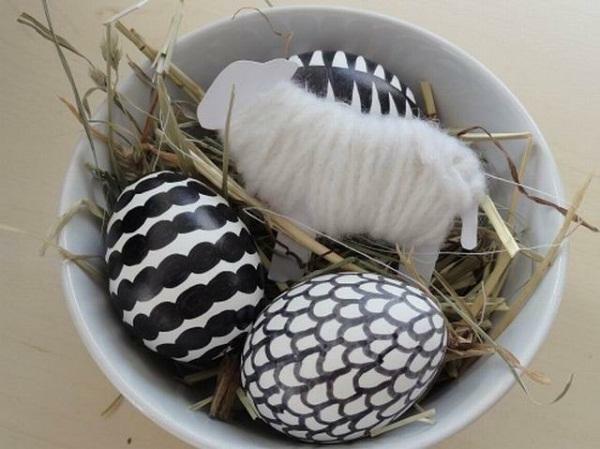 These Easter ideas are a way to recycle materials and create fabulous Easter table decorations or gifts.